London's Daily Mail reports upon a May 11 fire in a shantytown (informal, illegal settlement) destroyed 800 dwellings and left 10,000 people homeless. 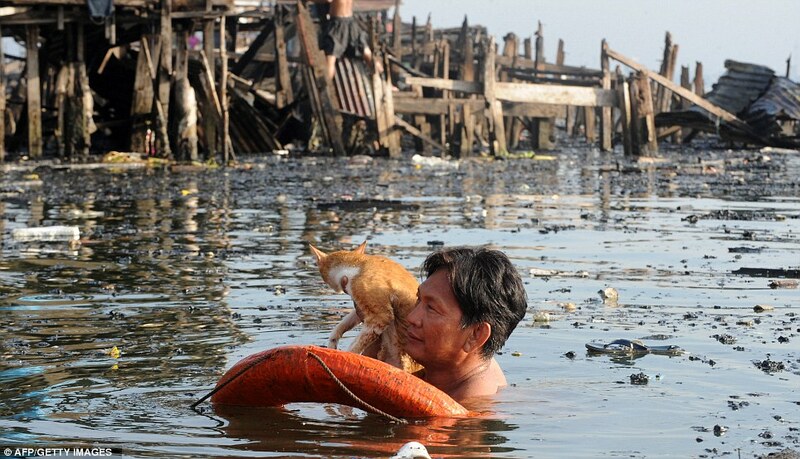 The Mail article included 17 photographs of the fire, the ruins people looking for belongings in ash suffused waters and man who has rescued a cat in debris filled waters. The fire occured in the Tondo district, which is two miles from downtown Manila on Manila Bay and two miles from the Doroteo Jose station on the Manila urban rail system as well as the principal commuter rail station. More than 4,000,000 – more than one-third – of Manila's (National Capital Region) residents live in slums, shantytowns and informal settlements. Government projections indicate that the slum population will rise to 9,000,000 by 2050. More than one-half of Manila's population will be in slums. Submitted by meela cagney on Fri, 02/27/2015 - 23:12. Submitted by peterparker on Mon, 08/04/2014 - 07:22. Many people believe that it is the nature that fights backs with these kinds of disasters due to the pollution and deforestation put by humans. I think there are some truths about it. 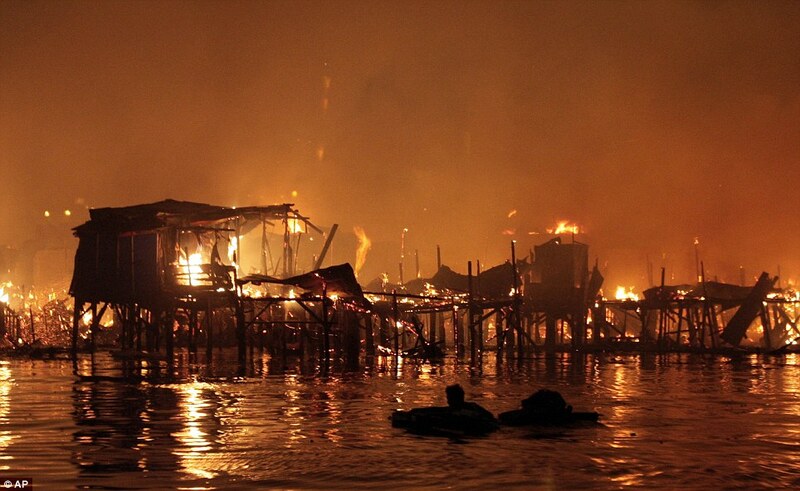 Some are even claiming that the fire was started by the government agencies to avoid the locals from the illegal areas. Who knows the truth..!!! Submitted by boothvickie on Tue, 12/10/2013 - 00:10. More than 4,000,000 – more than one-third – of Manila's (National Capital Region) residents live in slums, shantytowns and informal settlements. Submitted by lizabethfowl on Sat, 12/07/2013 - 03:16. Government projections indicate that the slum population will rise to 9,000,000 by 2050. 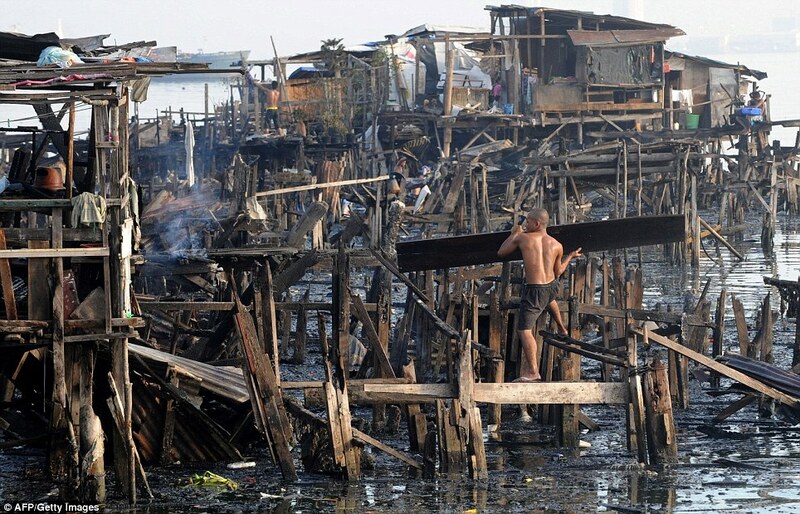 More than one-half of Manila's population will be in slums. Submitted by RaymondMAguero on Sun, 05/18/2014 - 08:37. Submitted by kristinastonestone on Sat, 09/28/2013 - 01:02. "More than 4,000,000 – more than one-third – of Manila's (National Capital Region) residents live in slums, shantytowns and informal settlements. Government projections indicate that the slum population will rise to 9,000,000 by 2050. 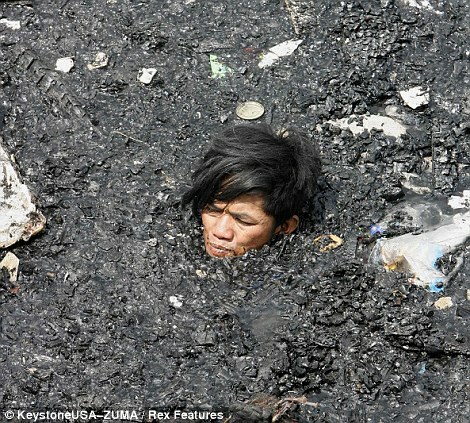 More than one-half of Manila's population will be in slums." what do you mean? Submitted by NicholasK on Wed, 06/11/2014 - 07:14.